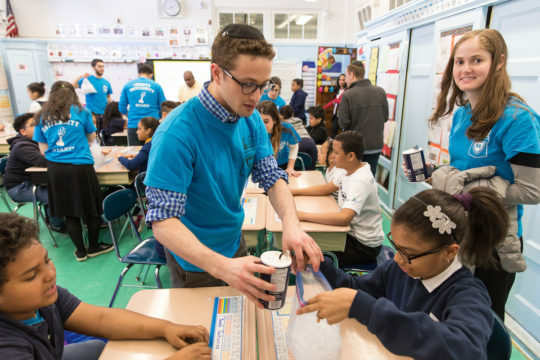 On Friday, June 22nd, Yeshiva University’s START (Students, Teachers, and Researchers Teach) Science program celebrated the graduation of more than 150 elementary school student participants from its year-long course of science education modules. 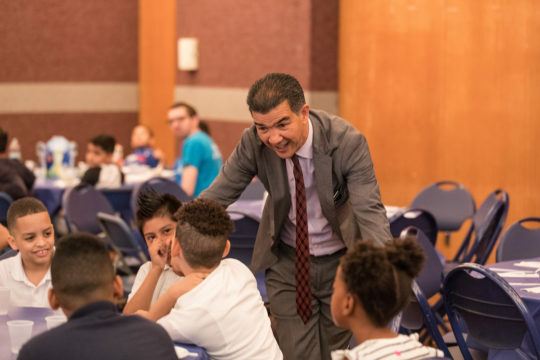 As volunteers with START, YU students teach weekly science modules to ten different classes of fourth graders at local public schools, including students in bilingual and special education tracks. Modules run the gamut from biology and chemistry to engineering and physics, with activities that might include dissecting frogs, building rollercoasters or even learning to make ice cream. 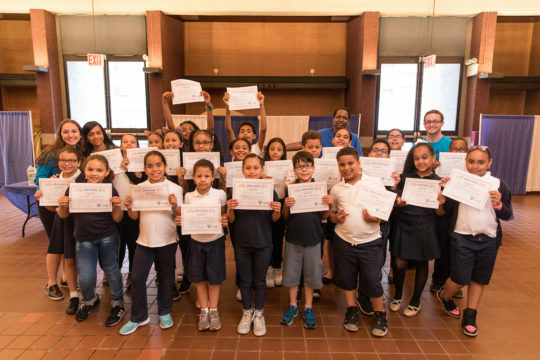 Local elementary school students received their certificates for completing YU’s START Science program this year. 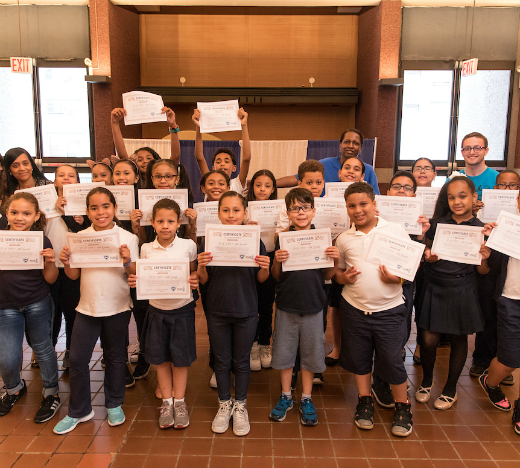 Last week, the elementary school participants received certificates marking their completion of the program in a special ceremony which also featured a science demonstration. They had the opportunity to hear remarks from New York City Councilman Ydanis Rodriguez; Norman Bickoff, one of the major benefactors of the program; and YU student Akiva Schiff, co-president of START. Councilman Ydanis Rodriguez (center) joined in the celebration. START Science modules include activities such as making ice cream with the local public school students.